Guardian Mile — GOH Run! The Hope Memorial Bridge is the unique feature of our race venue. The bridge is highlighted by the Guardians of Transportation. 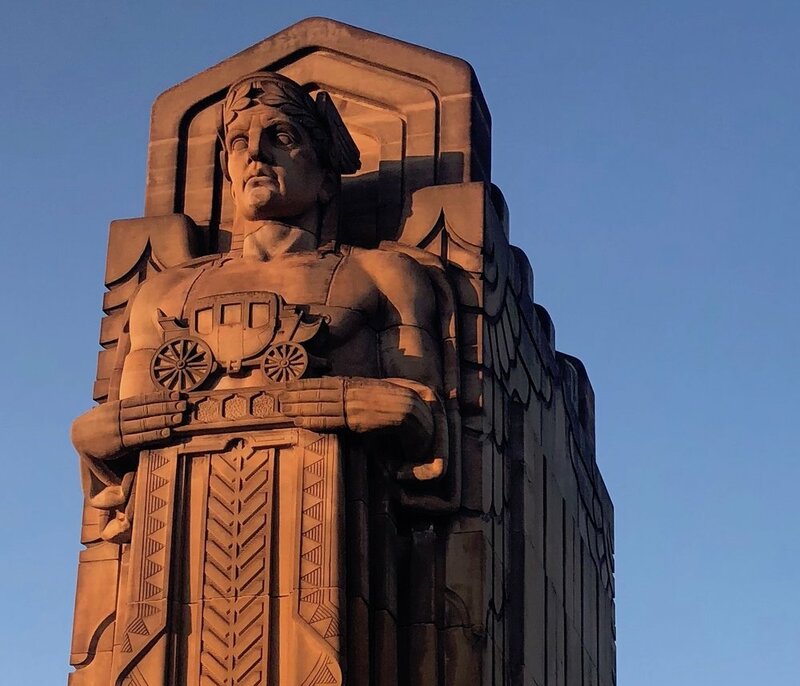 "The Art Deco figures carved in the sandstone pylons on the Lorain-Carnegie Bridge have stood guard over east-west traffic since 1932. Their name comes from Wilbur Watson, the bridge’s engineer, who wrote that the eight figures were meant to “typify the spirit of progress in transportation.” Each guardian holds a different vehicle in his hand, representing the history of ground transport — from a stagecoach, covered wagon and hay rack to a 1930s-era automobile and four types of trucks." Race across this iconic bridge on Saturday, August 17 beginning at 7PM. Join our community of runners, young runners, and our Elite Professional runners as they race the one mile span of the Hope Memorial Bridge.